Are We Sending Our Soils to the Poor Farm? What happens when we die? This question is both existential and biological. While scientists cannot address the first, they certainly can address the second. What happens to your body after you die is not pretty. Alas, there is no such thing as death with dignity when the microbial Grim Reaper arrives. Dr. Jessica Metcalf of the University of Colorado has made a career studying the stages of decomposition as defined by the types of microbes that consume your body, which she terms the necrobiome. 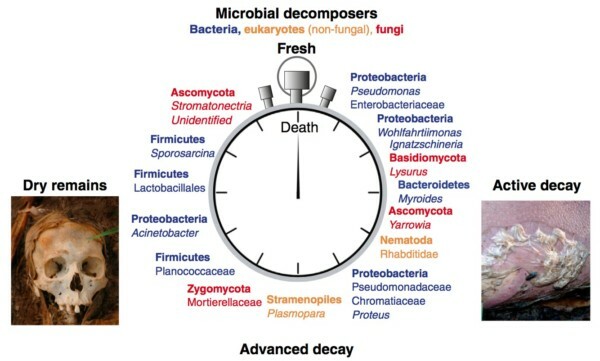 In her latest article, published in Current Biology, she and her colleagues identify the highly abundant microbes present as human decomposition progresses. The shifting necrobiome. Credit: Metcalf et al, Curr Biol, 2016. 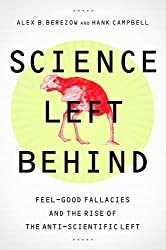 "When a mammal dies its immune system shuts down, internal temperatures change, and internal bacteria begin to grow in ways impossible while under the constraints of a living host. The internal environment then experiences another major event: rupture — a break in the skin that allows air, microbes, and insects to enter, and bodily fluids to exit. 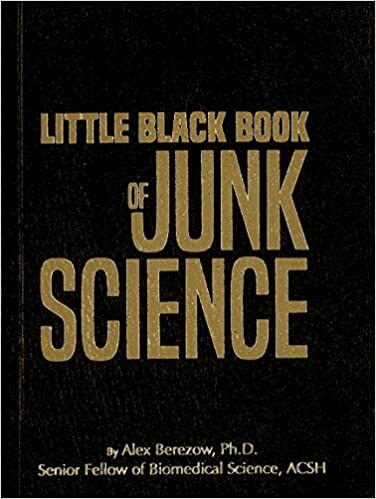 A carcass releases large amounts of nitrogen into the environment, mostly in the form of ammonia, as well as carbon, phosphorous, and other nutrients important for life. 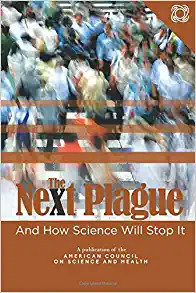 A dead body becomes a hotspot of nutrients, water, and ecological activity." Pseudomonas. Pseudomonas is a ubiquitous soil bacterium. P. aeruginosa is metabolically diverse (i.e., it is able to eat a lot of different things, including you), is highly antibiotic resistant, and causes infections in people with cystic fibrosis or severe burns. Research also suggests that P. syringae is involved in the formation of frost on plants or clouds in the sky. Lysurus and Yarrowia. These are among the first fungi to join the banquet. Rhabditidae. Soon enough, the feasters become feasted upon. Rhabditidae are nematodes (microscopic worms) that eat bacteria. Worms and other non-fungal eukaryotes don't usually show up to the party if the corpse is indoors. Acinetobacter. Acinetobacter baumannii has become infamous for infecting American soldiers in Iraq and Afghanistan. It is resistant to many antibiotics and spreads easily in hospitals. Lactobacillales. This group of bacteria includes Lactobacillus, a genus of bacteria that is found in healthy women's vaginas and is also used to make cheese and yogurt. But definitely don't think your rotting body will smell like yogurt. It most certainly will not.